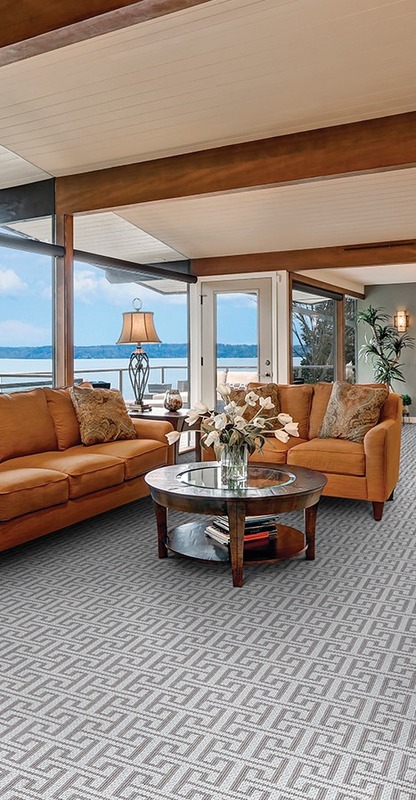 Honoring our 93-year old heritage in the floor covering industry, the Premiere brand represents the pinnacle in residential carpeting and appeals to a broad spectrum of lifestyles. Predominantly showcasing wool, blends containing natural and synthetic fibers and heat-set Courtron™ polypropylene products, the hallmark of this brand is its innovation within traditional, transitional, contemporary and casual appearances. This designer-driven product line is built on quality, superior comfort, durability and fashion, and is one of the most recognizable product lines in the industry. 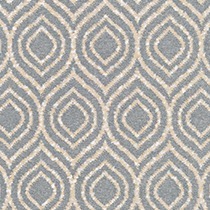 Offering a world of decorative fashions, textures and color options for the floor, Premiere’s decorative patterns are enhanced through Axminster, Wilton, flatwoven, hand-loomed and tufted constructions that feature loop, cut and loop, multi-level loop and cut-pile appearances. 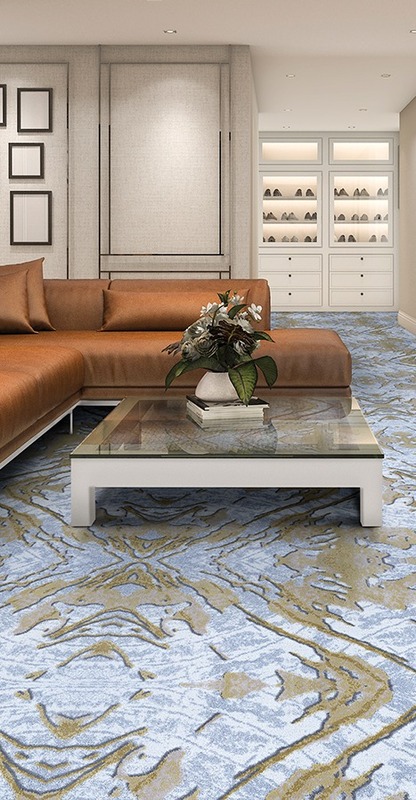 Offering a world of decorating options and flexibility, there is no other brand in today’s carpet industry that meets the consumer demand for high-quality, durable products. 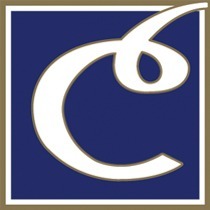 The Creations brand marked an important venture for us into the mid-market, specialty-flooring sector. 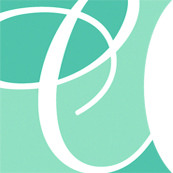 Designed specifically for today’s fashion-seeking and budget-conscious consumers, Creations by Couristan™ is a lifestyle driven brand, which brings style and design to the mass market. 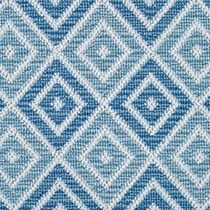 As the brand name Creations by Couristan™ implies, this is an innovative brand that creatively focuses on pattern and color while using affordable materials such as our exclusive heat-set Courtron™ polypropylene synthetic fiber. Offering over 50 different products, hundreds of colorways, and a variety of styles ranging from traditional to trend-setting transitional and today’s popular casual looks, Creations by Couristan™ has created today’s most popular styles to suit today’s spontaneous lifestyles. 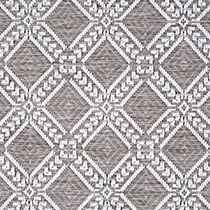 This product assortment offering consists of, but is not limited to tufted textured wools, heat-set polypropylene face-to-face Wiltons, flatwoven polypropylene indoor/outdoor, loop pile nylon prints and branded nylon cut and loop patterned carpets. 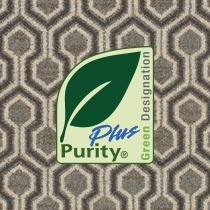 Purity Plus is a 100% eco-friendly product that uses pure natural materials in all aspects of the carpet, from surface pile to backing. 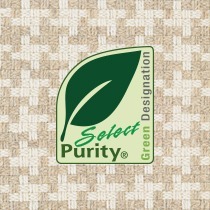 Purity Select uses pure, natural materials in the surface pile of the carpet. The secondary backing is made of synthetic latex material. 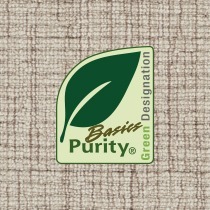 Purity Basics carpet is made of natural materials. 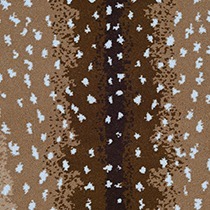 The carpet may contain some dyed accent fibers and some synthetic materials are used for the backing.